The numbers game began before President Obama woke up on Inauguration Day. On Sunday, local officials lowered their estimate of how many people would show up to watch him take his second oath of office, suggesting that 500,000 to 700,000 would be in Washington, D.C. for the occasion. However, this afternoon, the White House, citing an inaugural official, estimated that 1 million watched his inaugural address in person. But before printing that figure in the history books, there are bound to be other estimates trickling in over the coming days, if history is any guide. 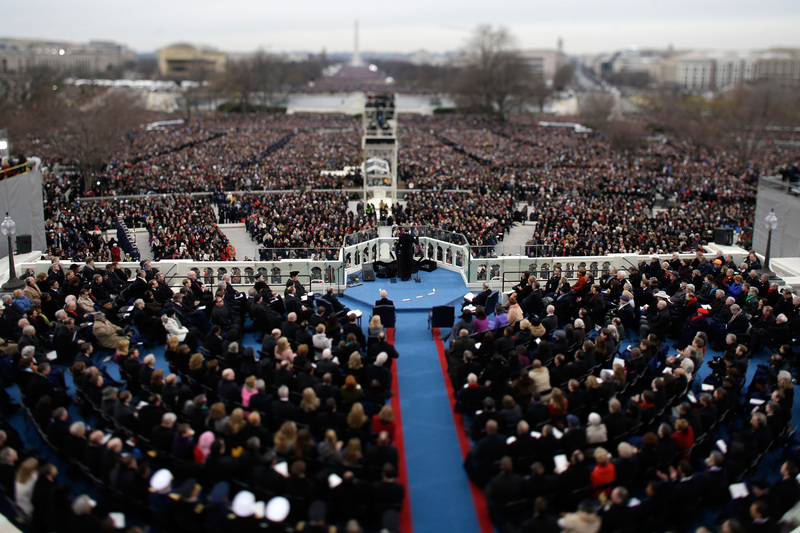 In 2009, the District of Columbia officially estimated that 1.8 million witnessed Mr. Obama's first inauguration, eclipsing the previous record set by Lyndon Johnson's 1965 inauguration: 1.2 million. The 1.8 million figure lingers as the "official" count, although there are some who disputed that figure at the time. It bears to note that the 1 million figure released today is from the White House and the inaugural organizers, who have an interest in making today's event appear as successful and well-attended as possible. For what many will consider the "official" count, the District of Columbia is expected to release their estimate on Tuesday. Stay tuned.